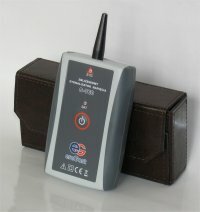 New product has appeared in offer of ERA-GOST Ltd. - indicator S-760. This new indicator is successor known by our clients - S-750. S-760 is contact free, AC voltage indicator. Most important novelty S-760 is automation of regulation. About more S-760, you can raed here.